3G rugby pitches are synthetic all weather facilities that are designed to be used in most weather conditions and to be used almost incessantly. third generation rugby pitches are designed to look and feel like natural grass when they are played on and many also have the addition of a shockpad and infills like rubber or sand. Contractors are able to supply and install 3G artificial rugby turf to a wide range of different designs and specifications depending on the use of the pitch. The MUGA surfacing, which is often 40mm thick or more, can house other sports like Hockey and Football and they can be game line marked to suit the three sports independently of each other. The ball court can also take a stud from a boot and there are many contractors in the UK that can specify, design and install this surfacing. 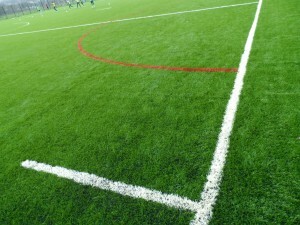 The 3G / 4G pitch can be constructed to almost any area size and dimension and this can also be tailored to suit different budget requirements and funding issues. The synthetic rugby surface is usually installed to a pile height of 50 or 60mm in order to suit the play of rugby however there are may different specifications available depending on the secondary sports you may wish to play. We can also offer monofilament and fibrillated designs which alter the playing characteristics and wear ability of the surface. We are rugby pitch contractors who specialise in this sports sector. We can help you with every aspect of the project and can even discuss costs, pricing and quotations. Please visit our website on https://www.sportsandsafetysurfaces.co.uk/ or use our contact form to get in touch.